After a residential or commercial roofing system has been intact for many years, the time will inevitably come when it will need repair work. Roofs endure harsh weather conditions and constant exposure to the elements. This makes roof repairs a common necessity for residential, commercial and industrial property owners alike. Repair work may involve anything from caulking or re-coating an existing roof, to repairing penetrations that were causing leaks. The professional roofers at Logan Roofing will assess your roof repair needs to come up with an effective and affordable solution. Roof restoration involves the major repair of the roof system, including the repair of all penetrations and resurfacing of the roof to restore it to serviceable condition. The opportunity to perform restoration work normally exists two or three years prior to the roofs end of its life cycle and before significant damage occurs. The cost of restoration is typically one half of the cost of re-roofing. We employee a team that has specialty training to be able to identify and correct major deficiencies in roof systems prior to replacement. This process can include coatings, re-flashings and modern design modifications. 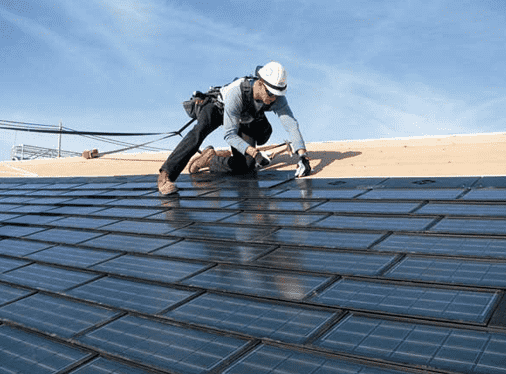 Roof maintenance involves the physical inspection of an existing roofing system to determine its current condition, detect weakness and failures and identify any potential future problems. Through a program of regularly scheduled annual or semiannual inspections, the company’s technicians assist the owner in protecting their roofing investments by seeking to identify damage in its early stages. Early detection of leaks and roof systems failures make it possible for the company to repair and extend the life of a roof system through repair or restoration.